The (parodic) debate summary I posted yesterday, while the debate was still going on, will have to suffice, dear readers. I am flying home today from Houston, where I gave several talks on the election for the Houston World Affairs Council. I want to take this opportunity to thank my hosts for their gracious welcome. 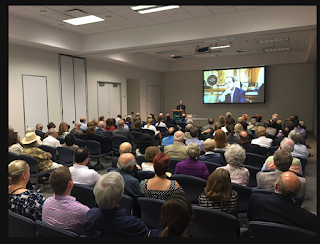 I was surprised and gratified by the interest in the French election among council members, other guests, and even a group of high school students, whose questions demonstrated real knowledge of European and world affairs.